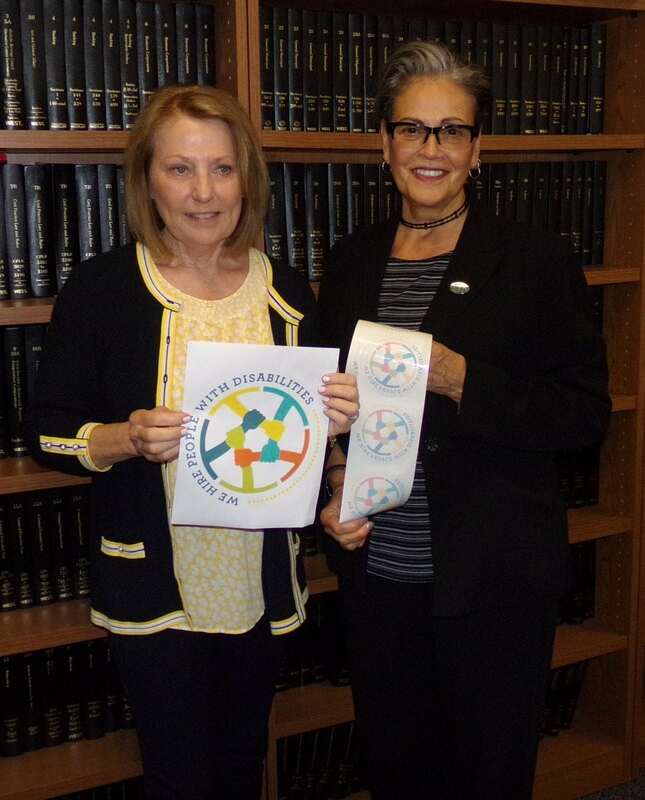 When Marian Heinzinger told Putnam County lawmakers during a forum last year that businesses should be applauded for hiring people with disabilities, Barbara Scuccimarra, who represents Philipstown, took note. 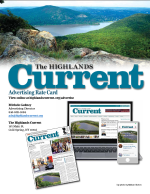 “We thought that recognizing businesses who hire people with disabilities would tell other people with disabilities, and the rest of the public, to go there and support those establishments,” Scuccimarra said. Heinzinger, whose adult son Kevin has Down syndrome, described how his job at Spins Bowl in Carmel benefits not only him but other employees and everyone who patronizes that business. Further, she said, promoting the fact that the bowling alley has given someone with a disability an opportunity to earn a living attracts customers. 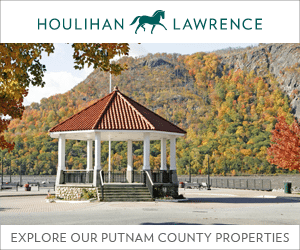 After hearing Kevin’s story, Scuccimarra reached out to the Putnam chapter of The Arc of New York, a nonprofit that serves children and adults with intellectual and developmental disabilities. She and Executive Director Susan Limongello came up with a plan. 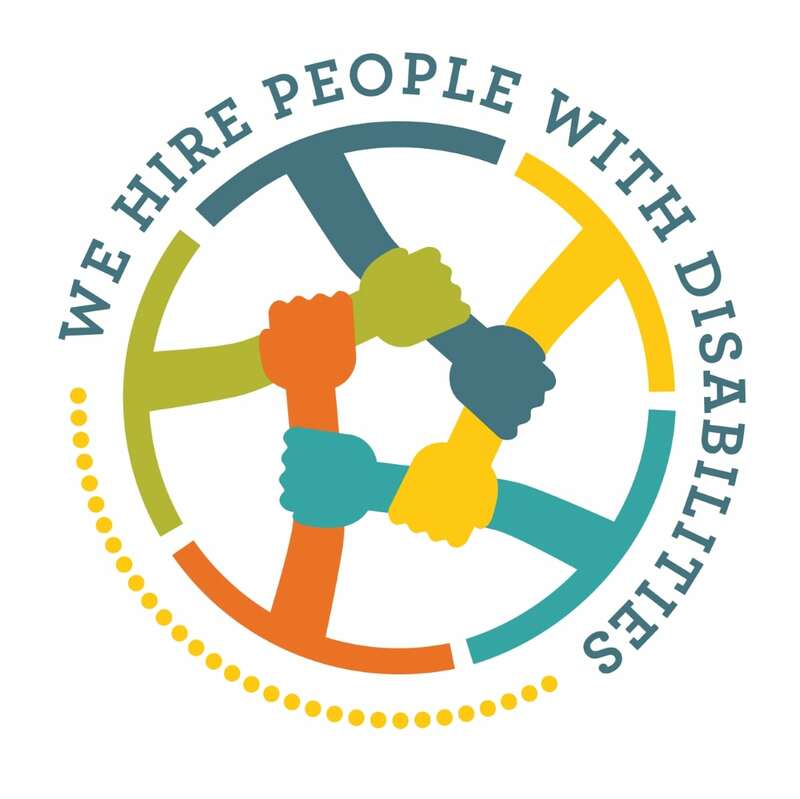 Scuccimarra contacted a friend who is a graphic designer, Jen Giachinta of Cold Spring, who created a We Hire People with Disabilities logo. 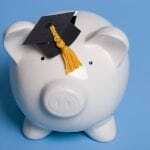 The logo was printed on stickers by Grey Printing of Cold Spring, with Scuccimarra paying for them out of her pocket. 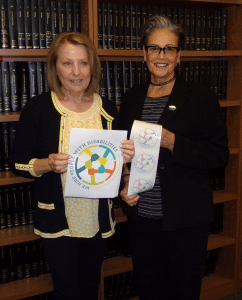 She presented the stickers to The Arc of Putnam last week. 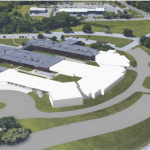 Legislator Ginny Nacerino (R-Patterson) praised the project, saying she worked at a high school where many students with disabilities were “phased out” at age 21, and that being able to find a job is important for everyone’s self-worth and self-confidence. 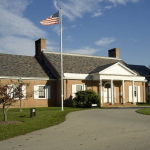 “It’s important to the families, too, because they want their children to be able to go beyond their own home environment, especially as they get older,” she said. 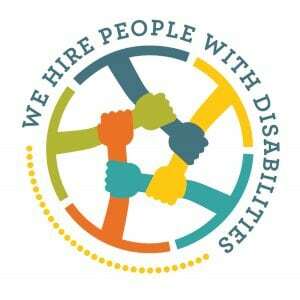 Any business that hires employees with disabilities may request a decal by contacting The Arc of Putnam at 845-278-7272 or info@arcputnamny.org.